Traveling for vacation, business, or anything in between has never been easier. This list of the best travel sites is going to provide all of the travel resources that you need. From booking flights to where to stay to extreme savings, this list will make you a travel guru in no time. 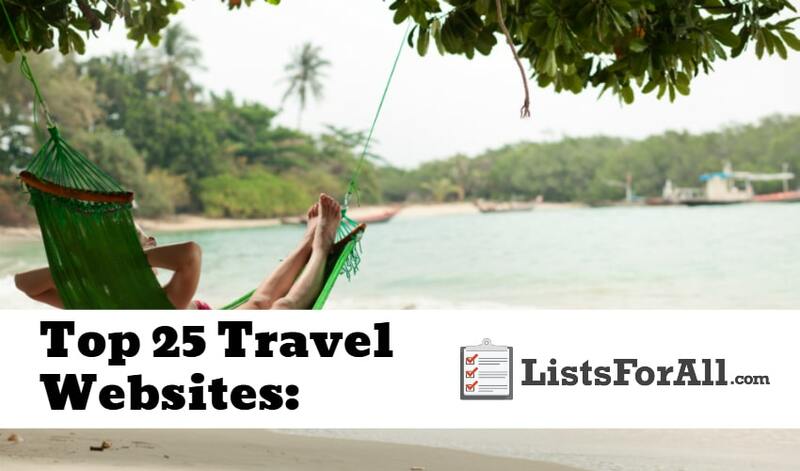 So spend some time on this list learning of all the great travel sites that will help you better get where you want to go. Be warned though; if you already have the travel bug, this list is only going to make it worse. Not sure where you are traveling to yet? Visit our list of the best vacation spots and best European destinations. These lists will provide you a ton of great places to choose from. Also, our list of travel accessories will make sure that you have everything that you need for your trip. Kayak is all about saving you time and making your life easier. They will allow you to search hundreds of travel sites all from the convenience of their website. Kayak, “processes over one billion search queries every year, and their mobile app has been downloaded over 35 million times.” This speaks to the number of people that trust Kayak when it comes to travel. Hipmunk is going to be able to take care of all of your travel plans. You will be able to book flights, hotels, cars, and complete travel packages. Hipmunk also allows you to easily keep track of all of your travel information as well. Travel updates are automatically sent to your email, and you can integrate travel plans with your calendar. This will help you stay organized on your trip and will allow you more peace of mind. Expedia is one of the world’s largest travel sites. Their resources and platform will be able to supply you with pretty much anything that your trip needs. They offer information about flights, hotels, car rentals, cruises, and more. So if you are looking to book several different things on the same trip, you may want to check out Expedia. If you need to find a great hotel, Trivago is a great place to start. They use over 200 different booking sites to help compile a list of different hotels and deals. According to their numbers, users will save an average of 35% when using their service. If you are looking for significant savings on flights than CheapOair is worth checking out. You will be able to view deals on flights that may save you hundreds of dollars. They also offer a price match promise, easy booking, and 24/7 customer care. These are all important when booking a flight. JetSetter will give you access to hotels in some of the most beautiful destinations in the world. This is going to allow you to find the perfect hotel for you, regardless of destination. Be careful though; if you spend too long on their site, you will have left with ten more locations to add to your travel bucket list. An all-around travel planning website, Orbitz will be able to help you rent a car or find your next cruise ship. Everything that you need to book your next trip is all under the Orbitz one-stop shop roof. They also offer some first-time deals and limited time savings as well. So for all things travel related, make sure that you are maximizing all that Orbitz has to offer. If you are looking to book company travel, look no further than TripActions. They will help you book and save on business travel with their cutting edge technology. TripActions will allow you to focus your time on your work and give you peace of mind about your business travel plans. Hotwire is all about being able to provide discounted prices for their users. Their connections with the major travel providers allow them to get special deals that they can offer on their site. That way when rooms, flights, etc. don’t get filled, Hotwire.com is able to offer them at a reduced price to you. So if you are looking for low rates on travel, and are willing to hunt for a good deal, Hotwire may be the choice for you. It has never been more beneficial to be a student than right now with Student Universe. They exist to provide exceptional travel deals for students all around the world. This brings a whole new meaning to the phrase, “travel while you are young.” So if you are a student, you need to start taking advantage of these excellent student travel deals. As a rule, pretty much anything that Google touches succeeds. Google Flights is not going to be an exception to this rule. With Google Flights, travelers can view different airlines all in one place. From here it is easy to estimate flight costs and compare them to a variety of different airlines. So if you are looking to travel and want to get the best price possible, Google Flights is worth checking out. Priceline’s big selling point is the “Name Your Own Price” tool. This tool allows you to name the price that you would be willing to pay for a specific flight, hotel, etc. Once your price is named, Priceline then does it’s best to fill the order. However, if your price is met, you are committed to the payment, and the offer cannot be canceled. If you have a specific budget in mind, Priceline could be a good option for you. Skyscanner is best known for finding great deals on flights. They also offer connections to hotels and car rentals as well though. With new deals and locations always popping up, Sky Scanner is an exciting site to follow. So see if you can find and secure your next travel destination for a fraction of the regular price. Well, you guessed it. Hotels.com is geared towards booking a hotel room. So if you are looking to find impressive hotel savings or a specific hotel, Hotels.com has you covered. They are the leading hotel accommodation site worldwide and will be able to handle all of your hotel needs. Being able to compare flights and hotels all around the world is going to allow you to find the best savings. You can also sign up for price alerts as well. These price alerts will let you know if the price changes for a specific flight. Fare Compare will be doing the work for you when you aren’t even thinking about it. Offering a free and Pro version, Tripit is designed to keep all of your travel documents in one place. It will give you a master itinerary that you will be able to access on the go, share with others, sync with your calendar, and more. All of these features are going to allow for less stress and more enjoying your trip. 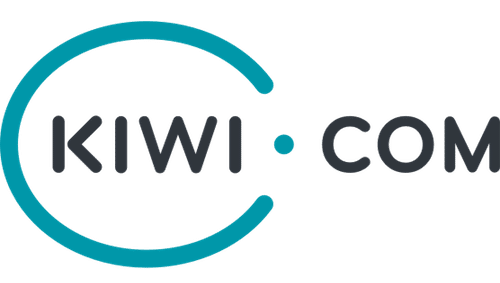 If you are in the mood to travel and have some flexibility, Kiwi.com is the place for you. Their price map will allow you to see different deals and provide you with some great travel options. They also have some really cool travel tools as well. They offer offline access to boarding passes, 24/7 support in 13 different languages, and protection from cancellations, delays, and rescheduling. Airbnb is going to allow you to rent out homes, condos, apartments, etc. in the city where you are going to be staying. This will enable you to better experience the city and also help your dollar go further. Airbnb is in more 190 countries and offers millions of places to stay. So there is a good chance that you can find a really cool Airbnb to stay at wherever you are going. They even offer castles and tree houses for the really adventurous. Skiplagged is an interesting travel site. Their system is designed to “expose the loopholes in airfare pricing” and find users cheaper flight options. Here is an example of how this process works. Say you are trying to get a flight from ATL to ORL. Flights from ATL to ORL are $250, but a flight from ATL to DAL with a layover in ORL is only $130. So instead of booking a direct flight from ATL to ORL for $250, Skiplagged provides you with the ATL to ORL to DAL flight for only $130. All you have to do is skip the last leg of your trip, and you save $120. As a side note, this only works if you don’t check baggage, as your checked baggage would continue to your final destination. So if you are looking for some serious savings, Skiplagged may be able to help you out. TripAdvisor is precisely what it sounds like; it is advice from other travelers that have already been to the same area that you want to go to. It uses real peoples past experiences to help you find the best fit for what you are looking for. The website will cover pretty much anything that you can think of associated with travel. So, if you are someone that likes to research a place before you visit, TripAdvisor is the service for you. Have you ever wanted to just pick up and go somewhere? Well, Airfarewatchdog is going to allow you to find great deals that pop up from day to day. The only catch though is that you had better be quick to act. With these great prices comes competition from other consumers. Also, airlines can change the amount of a flight without notice. So, if you enjoy hunting for a deal and have some flexibility, Airfarewatchdog is an excellent choice. Travelocity offers a little bit of everything that you will need to book your next trip. They do a great job of being well rounded with everything that they provide their users. They also offer an extra discount for subscribed members. So to really capitalize on travel savings, make sure that you sign up for their member benefits. Yapta is all about monitoring the price of your travel and making sure that you get a great price. It is sometimes hard to know when to book airfare, and as a result, you may be torn between waiting or purchasing right away. With Yapta’s price tracking technology though, you will be able to know that you bought at the right time. Checkout Yapta to streamline your travel budget. Travel Zoo is going to provide travelers with independent reviews. Site visitors will get access to more than 20,000 reviews on travel and tourist based companies. These reviews are designed to help you save time and find the best product for you at the best price. So join the 28 million travel members that use Travel Zoo and start saving on your next trip. Are you ready to get inspired to travel? Well not only will Momondo help with all your travel needs, but they will also inspire you. Site visitors will get access to information like travel tips, expert hacks, and industry insights. All which will help to make your next trip your best trip. So get inspired and plan your next trip all in the same location with Momondo. With Flyers Talk you won’t be able to book any flights or hotels, but that doesn’t take away from everything that they offer travelers. 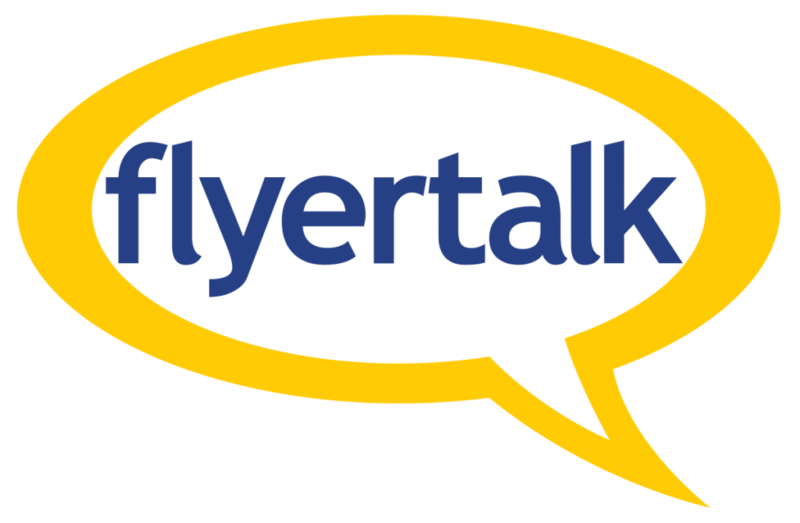 Flyers Talk is a community of travelers that love to hunt the internet for great deals and share different travel know-how tips. Their different forums will allow you will be able to get into another level of travel savings. With technology, it seems like the world is shrinking at a steady pace. It is becoming easier and easier to stay connected with friends and family regardless of geographical location. This list is going to make it easier than ever to visit friends, family, and your favorite destinations. Not only will it help with convenience, but it will save you money. So no more excuses, start planning your next trip today! For even more travel savings you may want to consider house sitting abroad. This program will allow you to have free lodging at your destination. Hard to beat a trip with free accommodations. Have you used one of these travel sites before? We would love to hear your feedback in the comments below. On placesofmoscow.com a family can make a reservation a nice room anywhere in Moscow, safe and no commission! ChristineJanuary 6, 2011 I find the best deals on Bookit.com. They do usually add a lot of taxes at chcuoket, but for trips I have taken it still works out to be cheaper than travelocity, expedia, hotwire. If you are a student, studentuniverse.com can have great deals sometimes (I found a flight to greece for 400 dollars round trip 2 years ago through them.) Also, next year disney is offering a special where you do one day of service through the handson program in your city and you get a free one day ticket to any of the 4 main parks. Its a great way to help out in your community and get a free ticket to Disney.